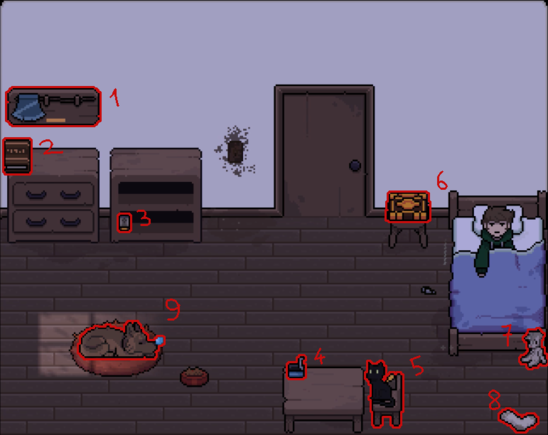 There are 8 main locations in Heartbound game and there is a corresponding storyline in each locations. This room is accessible by entering the left portal following the second fight with the Barghest. The door: Leads to a hallway. Can only be used when the puzzle is solved. Lore’s house is a small, two-story wooden house in a forest. It seems to be the only structure in the area and has nothing around it besides The Forest. Additionally, a few trees around Lore’s house seem to be cut down. The Dark World is a dark, purple area with seemingly alive tentacles poking out of the ground. The field of view in the Dark World is very small, which can be attributed to the darkness of the area. 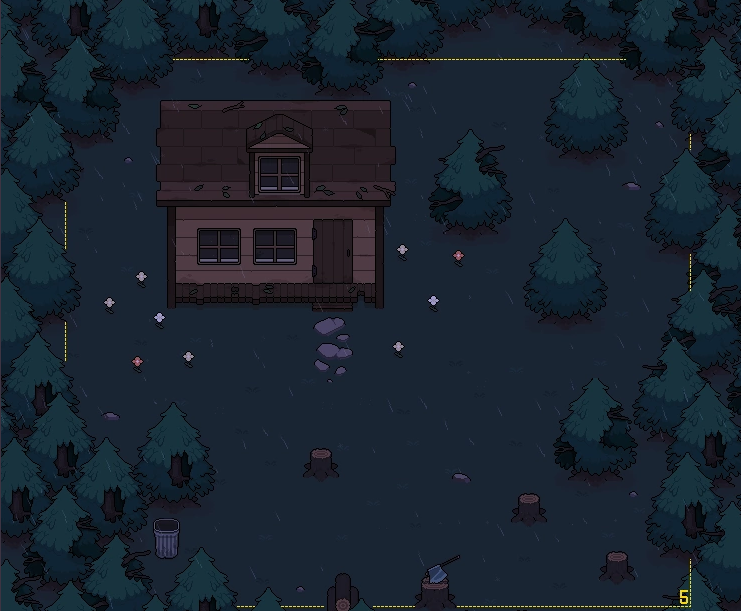 The only light sources are from the Light Bulbs, which hang above plot-important items such as the Stump and Baron’s bowl, and from a small circular area around Lore himself. The Artifact seems to have some kind of control over The Dark World, as it uses these items to accuse and torment Lore throughout the journey. The first time the player enters this world is via an altered version of Lore’s Room, after picking up The Artifact at Trial Between Worlds. Upon exiting Lore’s Room, the sound of a light bulb breaking can be heard and Lore ends up in the Dark World. Animus is the location Lore gets transported to in the beginning of Act 2. The Trial Between Worlds is a location in Heartbound accessible only through the grandfather clock in The Spine. 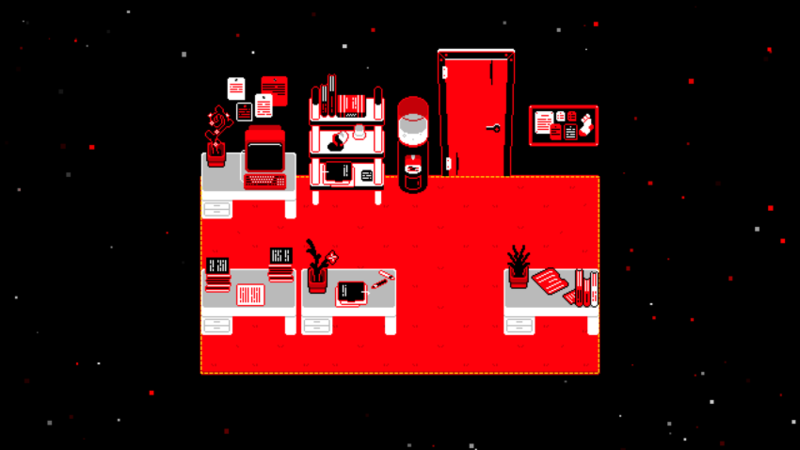 The Save Room is nearly identical to Lore’s Room (the first room in the game), but it is distinct in that it acts as a “one-way hub”, as Lore will enter this room upon selecting Continue, dying, or resetting at a ledger. The door leads to the last used ledger. 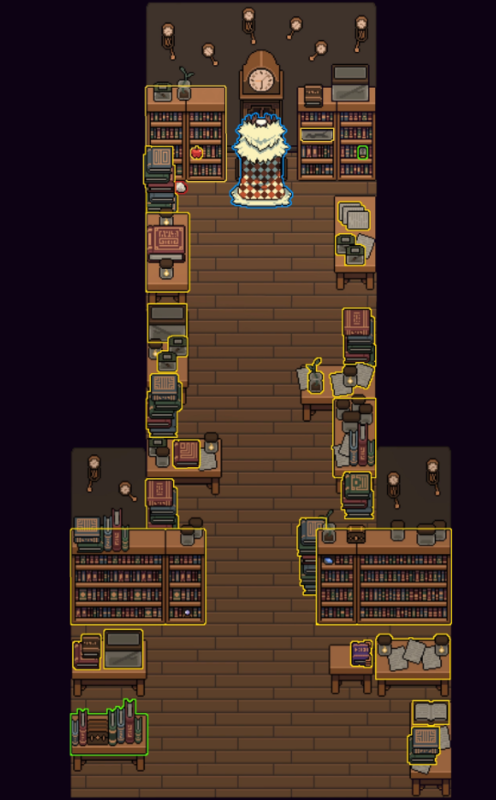 Home to Binder, this mysterious library is in an unknown location to the player. Inside, it is home to many clocks, and as the name suggests, books. This location is highly interactive, with even the stacks of books being interactable. The Vapor Cave is a secret area located in Animus. 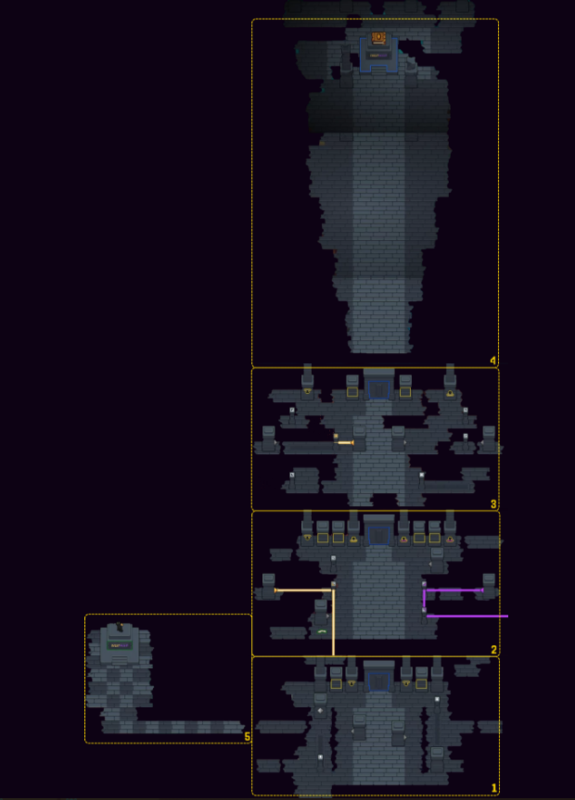 This secret room is only accessible if the player’s clock reaches 20:08. When this happens, a bridge of lily pads will appear, allowing the player to walk to the other side of the lake. Once there, the player can step into the mushroom ring to enter. 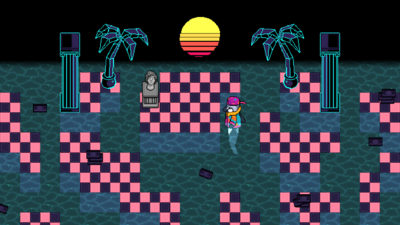 Exiting the Vapor Cave can be accomplished by stepping into the sunset on the back wall. Heartbound is really a good game that the immersive environments and the amazing music is great, you can enjoy the game in the weekend.